Although safe injection practices have been part of Standard Precautions in the 2007 Centers for Disease Control and Prevention (CDC) Isolation guidelines (https://www.cdc.gov/hicpac/pdf/isolation/Isolation2007.pdf), 19 confirmed outbreaks associated with misuse of single dose vials have occurred since 2007. The outbreaks involved outpatient settings, with many related to pain management centers. These outbreaks resulted in 95,000 patients being notified of the potential for infection transmission due to the healthcare they received. Although we generally think of the possibility of bloodborne pathogen transmission related to injections, 12 of the outbreaks were caused by bacterial infections, most of which required hospitalization. One of the largest Hepatitis C outbreaks resulted from re-using syringes to access saline flush solution for patients undergoing chemotherapy in a local oncologist’s office in Nebraska. One of the patients that tested positive for Hepatitis C, Dr. Evelyn McKnight, became an advocate for safe injection practices and has labelled unsafe injection practices as “never events”. However, this information shouldn’t lull practitioners in other healthcare settings into a false sense of security. Outbreaks related to poor injection practices have occurred in every type of healthcare setting. For example, an anesthesiologist administered two epidurals for pain relief on an OB unit without wearing a mask. Both patients became septic; one died and a five-million-dollar settlement was paid. There are frequent headlines about patient notifications related to unsafe injection practices. Lack of knowledge and a desire to save money are frequent motives for these practices. However, one study indicated that knowledge doesn’t necessarily translate into safe practice. Unfortunately, human nature seems to drive us to believe that we are doing better than we actually are! Healthcare workers are no exception. Studies have shown that self-reported injection practices vary widely from those directly observed, with more unsafe practices observed than what was reported. This is an important point when trying to improve patient safety through safe injection practices. Poor injection practices are so widespread and concerning that the Centers for Medicare and Medicaid Services (CMS) issued a letter in 2012 to providers and suppliers clearly stating that all types of facilities will be cited under the Infection Control Standard for unsafe injection practices. 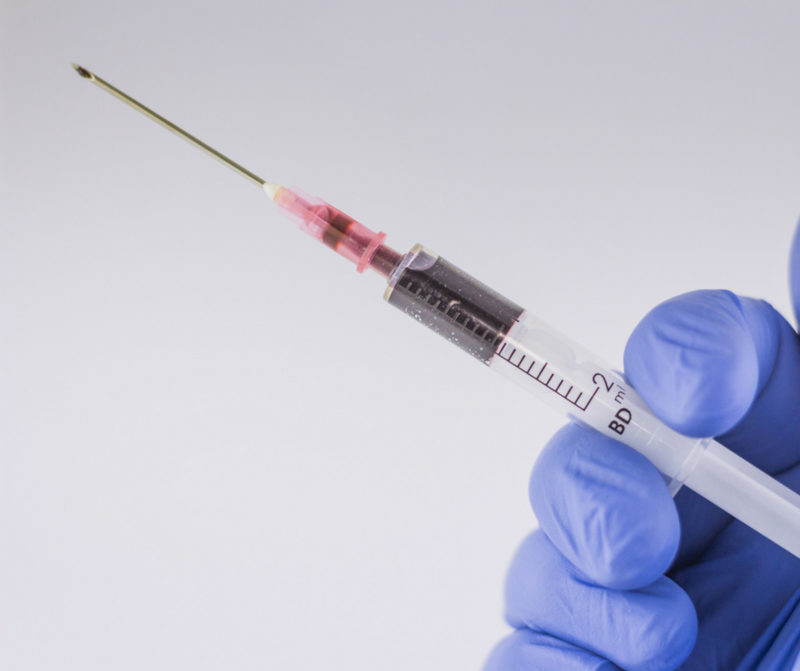 Most accreditation agency standards have also incorporated some injection safety practices. According to the World Health Organization, “a safe injection does not harm the recipient, does not expose the provider to any avoidable risks and does not result in waste that is dangerous for the community.” Although this definition may infer that the only concern is using aseptic technique when drawing up medication from a vial or ampule through administration to the patient, that perspective is only the tip of the iceberg. Injection safety refers to all type of injections (e.g. contrast media, injections into the back to control pain or administer anesthesia, joint injections, etc. ), intravenous materials (e.g. solutions, cannulas, lines) and any other type of equipment used to puncture the skin such as lancets to obtain blood for testing diabetic patients. The risks associated with poor injection practices include financial penalties from surveyors or due to a lawsuit, the potential for licensed professionals to lose their license, and in some states where unsafe injection practices have been classified as a felony, healthcare professionals could end up in jail! These are the risks for the practitioners, but what about the risks for the patient? There’s the obvious – stress and anxiety after being notified that you may have contracted viral hepatitis through no fault of your own; having to undergo prolonged (8-24 weeks for Hepatitis C) treatment and endure the side effects of the antivirals, the economic consequences of expensive medication regimens and the potential for being unable to work during treatment. This doesn’t even touch on the impact to the patient’s family: the entire time the patient is ‘out of commission’, someone else must take over their role which may cause stress within the family. The next time you are tempted to take a shortcut due to the multiple demands on your time, think about your patients and resist that temptation!